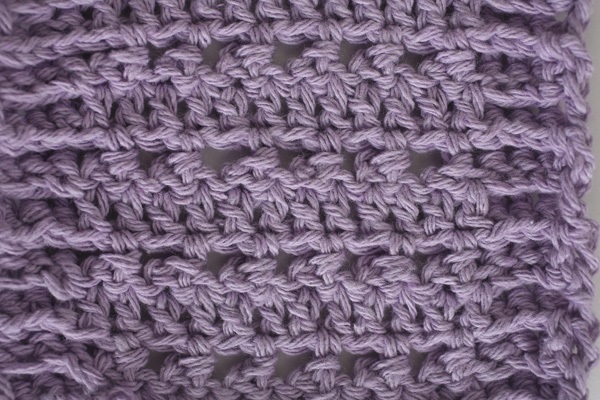 5 Dishcloth Patterns—Perfect for Beginners! You’ll love these cute dishcloth patterns—and they’re so easy! Here’s the perfect crochet project for anyone who wants to work up a quick pattern that’s pretty and useful. 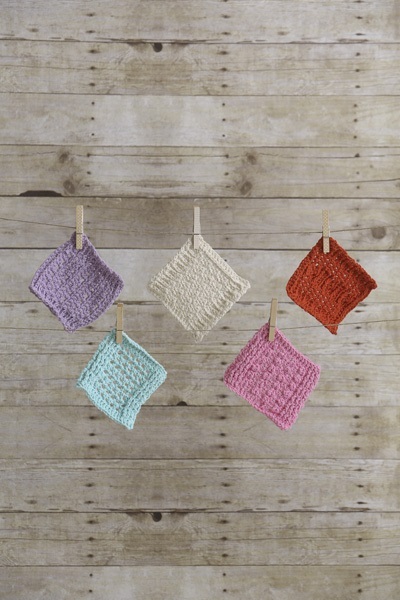 The Bumps and Bobbles Dishcloth Set pattern gives you five projects in one. All the cloths are the same size, yet use slightly different stitches so newbie crocheters can learn as they go. This pretty set features five different designs, using bumps, bobbles, posts, and cables. Make them in five different colors like the pattern shows, one color for the set, or any combination. Worked in 85% cotton-15% polyester yarn, you could use this pattern as a coaster set, too. The Bumps and Bobbles Dishcloth Set works for you in so many ways. Beginners can tackle the project themselves with minimal preparation. Or, if you’re teaching a group of new crocheters, you can have each one try a different pattern in the set, then trade. The patterns are simple enough for beginners, but interesting enough for experienced crocheters who are looking for an easy project they can whip up. The patterns are worked in bobbles, front post double crochet, and back post double crochet. Each cloth is 5” square and worked on a US size F (3.75 mm) hook. Gauge isn’t important in this pattern, so you can dive right in. The Bumps and Bobbles Dishcloth Set is one of Kristi Simpson’s fresh and modern patterns for I Like Crochet. Kristi has written several crochet books, and her patterns are popular with crocheters everywhere. You’ll want to check out the many patterns she’s designed for I Like Crochet—there’s something for everyone! The Bumps and Bobbles Dishcloth Set is the perfect take-along pattern when you want to keep your hands busy and productive but don’t have a lot of space. Reach for it when you’re teaching someone to crochet, or when you just want to make a pretty new set of dishcloths or coasters. You’ll find this pattern in the I Like Crochet pattern library. And, did you know you can have access to it anywhere you go? Just become a Gold Club Member, and you’ll be able to view this pretty dishcloth pattern on your desktop, laptop or tablet – whichever device you prefer! Of course, when you become a Gold Club member, you’ll also get instant access to stitch tips and tutorials, and—oh yes—hundreds of patterns for everything from home décor and afghans to scarves and shawls! And don’t forget the best part: you can take all of it with you wherever you want to crochet – on the sofa, at the park, on a plane or train … it’s up to you!